Just installed Notes 9 GA. 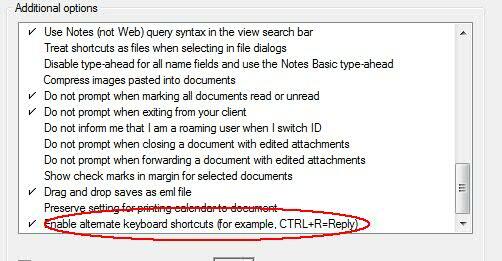 I noticed that by default not all the keyboard shortcuts work. Ctrl + R does not, while Ctrl + 1 ( or 2 or 3 ) does. 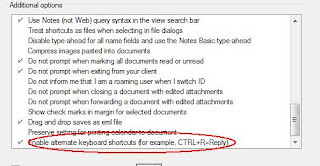 In order to enable Ctrl + R need to go in Preferences -> Basic Notes client configuration then scroll to the bottom of the list of options and check "Enable alternate keyboard shortcuts".